Hello and welcome to exampundit . 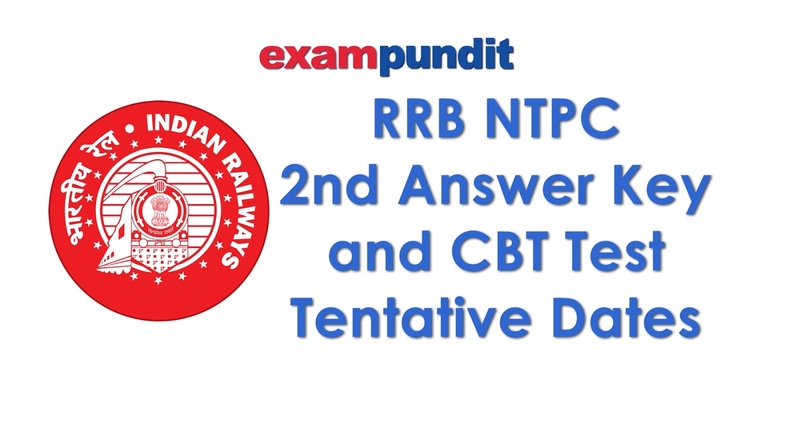 RRB Kolkata has issued a notification RRB NTPC 2016 about the date of new answer key and 2nd stage examination. CBT held during 28/03/2016 to 03/05/2016 (hereinafter called 1st Stage CBT). stage CBT and/or result of Aptitude Test/Typing Skill Test wherever applicable. Normalisation of marks will be done as per extant rules in 1st and 2nd stage CBT. be of 90 minutes covering 120 multiple choice objective questions. The date(s) of 2nd stage CBT shall be published on RRB’s website in due course.